I’ve certainly had a change of pace in the last few months. I had been at a site in Gaithersburg, MD when I was moved to Reston, VA for just two weeks. While in Reston I spent my time troubleshooting lighting circuits and laying out and installing light fixtures. From that brief stay, I was then for a short time moved back to a different site in Gaithersburg. Here a group of four of us spent a week doing preventative maintenance work by preparing all the panels, disconnects, crack units, motor control centers and more in the building to be thermal imaged. This allows potential problems areas to be identified before any issues would arise that would cause an unscheduled disruption in power that would threaten the type of work taking place. During that time we were able to identify four or five hotspots that were in need of maintenance. I was able to gain a better appreciation for the work we were doing because at the same time in school we were reviewing power quality issues with this type of work being one of the topics. This gave me a chance to really relate and understand all aspects of what we were doing and why is was necessary. From Gaithersburg I was transferred to my current site in Washington, DC. For the past month and a half I’ve been working in an apartment building trouble shooting, installing lights, and finishing out floors. Despite the traffic and the few hours added to my day, it’s been an okay job site. This is the most jobs I’ve ever been to with a single contractor and with it wrapping up in a few weeks it looks like my jumping around isn’t finished yet. Its been just over four months now since my last transfer when I moved to J.E. Richards, it seems as if time is just flying by. As written before, I spent about three months of my time in D.C. working at a large tenant build-out. Since then, in the last month I was moved to another job site in Gaithersburg MD, which is a completely different setting and type of work. From a large job with over eighty some people when I first arrived, down to a small crew of six or seven. The biggest difference is being in a place where floors were bare and being built, to now navigating through what seems to be endless lab spaces. I have found it has been a very welcome change in most aspects. Most of all probably being the location, I don’t think anyone would complain about being able to wake up an hour later and get home sometimes an hour and a half earlier. What I believe to be the biggest change though has been it the regards to the pace of work and safety on the job site. How I explain it to most people is that you have to fill out paperwork just to do the paperwork. This is my first time to experience or even see this kind of work. Where every detail of each specific job has to been described before the work begins in what they call job hazard analysis (JHA’s for short) and also daily before work begins complete a ; safety task analysis (STA’s). These documents along with sign in and sign out sheets in each area of work has led to there being over a hour of time just filing out paperwork some days.I have found that it can really drive you crazy but it does make you very aware of your task and any hazards that may exist. Probably one of the best programs they follow is one we learn much about in school. 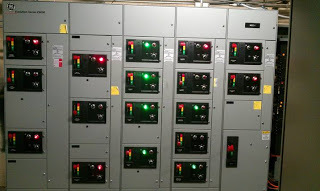 When it comes to safety one of the most important for electricians is the lock out/tag out procedures. Up to now I learned a lot about the program in school and on the job,but until now have never really followed the rules to such an extent.I usually would just find one person applying a lock to a circuit being worked on, here though, every person working on or around the circuit applies a lock and fills out their own paperwork documenting everything about the shutdown which I’ve learned is the correct way for the program to work. 3rd year apprentice. Almost sounds strange to say thinking about how far I’ve come in which what seems so little time. Almost feels like just yesterday I was walking into the apprenticeship office to apply for this opportunity. And now almost three years later here I am having gained more experience than I ever could have imagined. I was just asked last weekend if I’m still enjoying it and if I could go back would I do anything differently. Without a doubt I replied absolutely not, I’ve found something that I really enjoy doing thus far and wouldn’t imagine going back. Being able to really apply myself at work, all the benefits that have come along with being in the union, the pay, all things that I think someone of my age is lucky to have and all things that I look forward the continuing. Moving up to the third year has also brought along some changes in scenery. For about the past month now been part of J.E. Richards one of the larger companies out of local 26. From working in College Park for the past year now have moved into DC for the first time, all which in itself is a new experience. Have moved to a pretty large tenant build out, largest of any job I have yet to be on. So far definitely have no complaints minus the traffic but hard to fight that. Have been able to work on a numerous amount of different project. From piping out electric closets, putting up numerous different kinds of lights, and most recently testing floors out it has been very good experience. In the short amount of time I have been there definitely have been able to learn a lot. With work continuing to move along smoothly at the University of Maryland project, I’ve recently had the chance to mix things up and experience another first in my career. I was given the opportunity to work a few OT hours recently over the weekend on a shutdown. 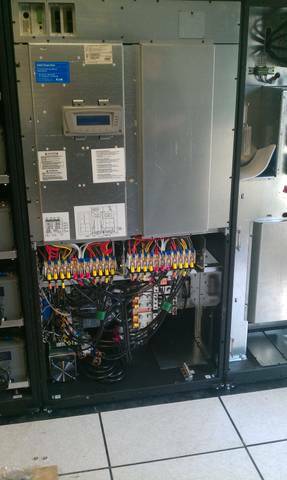 Working along with two others, together we were able to clock twenty-five hours tearing down an old motor control center and replacing it with an entirely new cabinet. This brought on one very nice paycheck along with work that I found to be very intriguing. Due to it being a shutdown it made it a very fast paced job with things needing back up and running before the start of the new week. This fact, along with it being work on motors, starters, and different controls, things that I have never had to work hands on with before made for a very interesting time. I found it to be a very good experience to have under my belt for the future. I have also been lucky enough to tie in on the job training with the start of book four in the apprenticeship. Book four introduces you to motors, motor controls and everything else you could hope to know about this type of work. After being on this job I have found myself very excited to move into this lesson and further expand what I know. I have to say with over two years in the trade now I am still continuing to learn new things on a daily basis and really am enjoying going to work everyday. Below is a picture of the new MCC. With a few months under my belt now at the University of Maryland site things are continuing to move right along. Lately, we’ve started to increase our amount of projects and break loose all over the site. We are now up to eight guys on site and it feels like we’ll be adding a few more in the near future as the workload increases. I’ve been fortunate enough to get my hands on all sorts of different projects that I really find interesting. I’ve found that I enjoy understanding each aspect of the project rather than just a few select details. Like I mentioned in my last blog, this is a slightly different kind of job than I’ve ever been on before. One being its a knew building coming out of the ground and two we are doing all the control work. So far getting to have a hand in many of the different projects has really given me a better understand of how all the pieces work together towards the final picture. In just running branch piping have really started to understand how different pieces all tie in. This past week we have spent piping out thermostats and trunk lines for different troughs and devices. I have gotten to understand how these devices drive others telling them what action needs to take place among other things. For example, how the multiple thermostats in each room cause a action in the supply and return ducts to keep the room temperature at a constant. Also how all of these devices tie back into a control point so all of this can be run and monitored from a central location. I’m finding all this to be very intriguing work, really enjoying my time so far and looking forward to it continuing. It’s been a while now since my last post but between school and work things are still going really well. With my last job site going into the finishing stages I now have been moved to another site on the University of Maryland campus. While still with the same company I am now getting to experience a whole new scope of work. A new physical science center is being built on the campus and we are responsible for completing all of the control work for the building. This has allowed me to experience a whole new set of thinking and requirements different than any job I’ve been on as of yet. Just looking at the various sets of prints and the hundreds upon hundreds of devices we are responsible for is almost overwhelming.The prints at first looked like a foreign language, loaded with symbols and terminology that I have never seen, let alone heard of before. But with a few weeks under my belt now, I’m still no expert but catching on rather well and really enjoying the work. It has been my first chance to work with rigid pipe which definitely brings a few more elements to the table.You really have to study ahead of time and pre-plan how you intend to position each piece. Unlike EMT, rigid pipe must be threaded together so when installing in some of the tighter locations it takes major planing ahead for everything to work. After the past few months now of being on the fire alarm learning the in and outs have finally gotten the chance to jump ship so to say mix things up a little bit. Seems like for about the past month or so now have gotten the chance to do something totally different each week. From hooking up VFD’s for air handling units, pulling feeders, setting and wiring up an UPS system, to simply hanging lights. Many of these I had never previously received the chance to be around or work with, so to say the least it has been quite the interesting month. Makes the days go quick when your constantly into your work and learning honestly say i have been really enjoying it lately. One of the more interesting things was hooking up the UPS system(aka: Uninterruptible Power Supply). 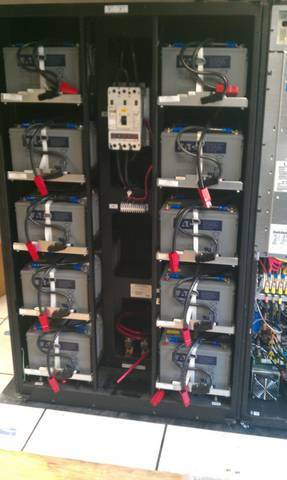 Put simply just a large bank of batteries together to supply power to certain equipment when the main supply of power goes out. Definitely was pretty cool getting to work with the system and very challenging getting the pieces set. Mostly because pushing 4,000 pound bank of battery’s up a ramp isn’t the easiest thing in the world but all in all everything worked out. Below is a couple pictures of two parts of the UPS.